New Drift Stealth 2 camera released. It’s fair to say video cameras have come on a bit in the last decade. Ten years ago we were recording grainy, stuttery videos at a frame rate of one per minute and then impressing nobody with the playback. Now, for naff-all money we can get compact, HD video at 30 frames per second (fps) from neat little cameras that are light, small and hassle-free. 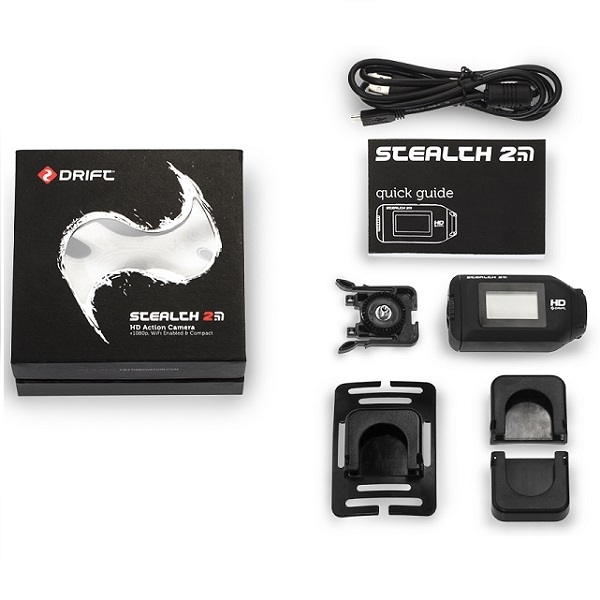 The latest to be launched at us is the new Drift Stealth 2, Drift’s lightest and smallest camera. Like previous Drift cameras, it has a rotating lens allowing easy alignment wherever it’s mounted. It’ll grab 1080p HD at 30fps or 720p at 60fps. You can stream video using Wi-fi straight to your phone or tablet using the Drift app, negating the need for an on-board screen and helping extend battery life to a handy three hours. There are tons of clever features, but our favourite is the video tagging which lets the camera record constantly and only saves when you ask it to. So you can leave it on for your whole ride and only hit the button after something interesting has happened. There’s a handy remote too, that lights up different colour LEDs to let you know the status of the camera. We use various cameras to record our exploits here at SuperBike and a couple of things about this one have proven really useful already. Firstly, the lense isn’t such a wide angle as most, so you don’t need to be right on top of the action to get decent shots. But mostly it’s the battery performance that has us impressed. Three hours run time is the best we’ve seen in a long while and, unlike others we’ve used, the Drift 2 doesn’t go flat overnight if it’s left switched off in your bag. We’ll get back to you with a full review once we’ve finished putting the new Drift through its paces, but for now we’re impressed. It’ll cost you just shy of £200 and you can find your nearest stockist here.